CNPS-SD Executive Board meetings are always the first Wednesday of the month, except when the 1st Wednesday falls on a holiday. Meetings are held at 4010 Morena Blvd, Suite 100, San Diego. Members are welcome to attend as observers. To add an issue to the agenda, please email president@cnpssd.org. We meet the first Tuesday of every month, from 5:30 to 7:30 pm. Email conservation@cnpssd.org for details. If you are interested in this kind of work, you are very, very welcome, as we always need more volunteers. We are happy to train you too, and we have developed training materials. If you know of a project that needs our involvement, we also welcome you. Our goal is to protect California's native plants, and where they are threatened, whether it is by development or climate change, we speak up and advocate for them. The Gardening Committee of the San Diego chapter of the California Native Plant Society holds meetings on the second Wednesday of each month. Meetings address a lively array of gardening opportunities, projects, and special events. The location rotates each month amongst private homes and public spaces. They are usually preceded by a potluck dinner. Where: Meet at 9 AM at the McCoy House Museum, the two-story white building at the west end of Old Town State Park where the bus/train/trolley station is located. This is at the corner of Taylor and Congress Streets. they will have the best chance to establish without having to fight for space with exotic invaders. In May we plan to remove exotic grasses that are already going to seed, to reduce this years' prolific weed crop's seed from getting into the ground. We also hope to finally obliterate the three weedy clover species that came up this year. Bring water and have sun protection. If you have gloves and a favorite weeding tool, bring them, or share ours. Take bus, train, or trolley to the Old Town Station, and cross at the corner of Taylor and Congress. If you drive there is free parking in the F lot in Old Town, next to Calhoun Street, or in the CalTrans lot that you enter at Juan and Taylor Streets. Where: Meet at 9 AM at the McCoy House Museum, the two-story white building nearest to the corner of Taylor and Congress Streets. new natives won't have to compete for space, water, and sunlight with exotic invaders. PLANT KNOWLEDGE: Novice +, Professionals always welcome! This trip is a yearly treat, and the trail won't change much but the plants and flowers and knowledge will be for the better! For 2019, we've had an extraordinary amount of rain and that means an extraordinary amount of bloom. We'll do a three part trip, with opportunities to head out after the Red Ridge trail, or continue on down the Margaret Fleming Trail to the canyon below with a completely different vegetation community and plant types. Instead of calling it a day - there's a third portion where we'll rejoin after lunch at Crest Canyon Park (just to the north). Crest Canyon has many similar environments and species, but is not as covered. We'll be more focused on doing stronger documentation including iNaturalist and tagging species for possible collections. Our CNPS San Diego Rare Plant Botanist Fred Roberts will join us to help identify and document the rare plants in both areas. David will speak about Wild Yards Project, a collaboration of story-tellers and native plant professionals working together to inspire people not just in California but across the country to transform their yards into native-plant habitat. David Newsom is a lifetime naturalist, an amateur native-plant gardener, and a 27 year veteran of film and television, the last 10 years of which has all been adventure-documentary. With the arrival of his two kids, however, he suddenly realized that they may never cultivate an intimacy with nature unless he brought nature to their yard. So, he did. Hence the WYP was born. NOTE: Online ticketing will close at midnight, Friday, April 12. Tickets will be available at the door throughout tour weekend at the Tickets and Info garden at 11855 Caminito Sanudo in San Diego, CA. (gate code #11855). The Tickets and Info garden will be open from 10:00am to 4:00pm on Saturday and Sunday, April 13 & 14. The California Native Plant Society-San Diego Chapter (CNPS-San Diego) presents its seventh annual Garden Tour, Inviting Nature Home: Native Gardens of Central San Diego County, the weekend of April 13 & 14, 2019 from 10:00 a.m.–4:00 p.m. each day. With this self-guided tour, spend a day or two exploring and learning from these gardens that highlight plants that create habitat, dry streambed bioswales, adjacent natural areas, water catchment devices, slope gardens, charming water features, bridges, sculptures and more. Be inspired this Spring! Self-guided with docents at 14 private gardens. 7 additional gardens on the Tour for front yard viewing listed in program book. Admission good for both days of the Tour. Attendees ordering tickets online April 6 and after will pick up their program booklets during Tour weekend at the Tickets and Info garden at 11855 Caminito Sanudo in San Diego, CA (gate code #11855) beginning at 9:30am. -Seeds for over 100 species of California native plants. Start your garden from scratch with minimal investment. -An expanded array of California native plants in 1 gallon and 5 gallon sizes from Moosa Creek Nursery will be available at Walter Andersen Nursery in Poway during Tour weekend. Tour attendees receive a 10% discount on these plants during Tour weekend. Take a one-hour Guided Tour on Sunday, April 14! The 5-acre Kumeyaay Ipai Interpretive Center at Pauwai features a demonstration garden representing local plant life as the Kumeyaay knew it 2,000 years ago. This authentic habitat site includes a hillside walk for the adventurous explorer. You will be guided along this trail by knowledgeable docents where you can run your fingers over deep acorn grinding holes, peer into accurate representation of native huts (‘ewaas) and breathe in California's signature aromas of sage and pine. Learn about how plants were used for food, clothing, shelter and medicines (ethnobotany) and behold this special site where you can truly envision how this land looked so long ago. This special extended, comprehensive tour is being offered exclusively for the Garden Tour. The cost will be $10 and 50% of the proceeds will be donated to the City of Poway for the Kumeyaay Ipai Interpretive Center. Buy your tickets early as we expect that this will sell out quickly. Native plants in your garden support native insects, which in turn provide food for birds. This makes for a pollinator paradise and is why native gardens are able to bring so many birds to and around your home. The good news is that there is such a wide diversity of natives in San Diego that you can find a great variety of plants no matter where you live. One of the best ways to find native plants that will work in your landscape is to wander in nearby open spaces and see what grows. Lee will talk about learning to identify local native plants that will be successful and require low maintenance. If you choose to do some irrigation, your choices multiply. We will discuss irrigation, both before you plant and for maintenance, how to plant, controlling weeds, and keeping plants trimmed. Saturday, April 13, 12:00 p.m.–2:00 p.m.
Greg Rubin and Leo Hernandez of California's Own Native Landscape Design, Inc. will be available to chat and take questions in the garden. Vincent and Daniel Bellino of Restoring California, who currently care for this lovely garden (originally installed by Greg Rubin), will be available to chat with you about why they love using California native plants in every garden design. Refer to Tour booklet for garden addresses. Join Greg Rubin of California’s Own Native Landscape Design for a short discussion on how to approach preparing and planting a native vs. conventional landscape and why we follow this methodology, ending with a planting demonstration and Q&A. Join John Corning of Kelly Grn Native Landscape Living for a short discussion on soil types, techniques for digging holes, plant placement, whether or not to mulch, and irrigation, ending with a planting demonstration and Q&A. Note: Details may change without notice. This is a rain or shine event. Tickets are not refundable but are transferable to another person. For everyone that missed the Algodones Dunes trip last year, here is your chance to jump in on a great repeat, with the extraordinary additions of Steve Hartman the CNPS Board President and Amy Patten, CNPS Rare Plant Botanist. Early April will hopefully have a great bloom of Algodones Dunes sunflower (Helianthus niveus ssp tephrodes), Giant spanish needle (Palafoxia arida var gigantea), Pierson's milkvetch (Astragalus magdalenae var piersonii), Sand food (Pholisma sonorae), and Fairyduster (Calliandra eriophylla) among other rare species and extreme desert endemic species. PLANT KNOWLEDGE: Beginner to Novice, Professionals always welcome! This trip will be set in the backyard of Orange County and San Diego County atop the ridge of the Santa Ana Mtns on the far western edge of Riverside County. We're doing another joint trip with Ron Vanderhoff of Orange County CNPS, a great botanist who will help the group identify some of the extremely rare species we're hoping to find. 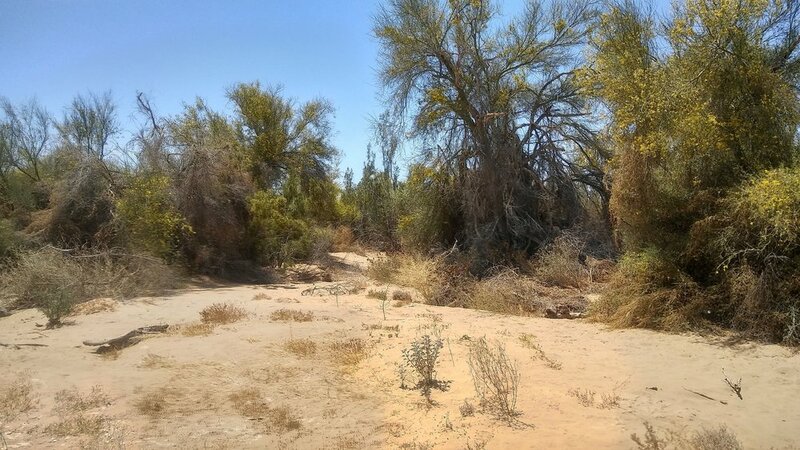 Matthew will share his experience managing a program that develops site appropriate native plant materials for ecological restoration across multiple habitat types in Southern California. Topics such as: plant palette design, wild seed collection, farming native plants for seed, seed processing and storage, seed testing, and seed test interpretation will all be covered, with a focus on successful strategies and lessons learned over ten years of production. Matthew Garrambone is a Program Manager and Ecologist for the Irvine Ranch Conservancy (IRC). He oversees a variety of projects, including the development of native plant material for ecological restoration. In this capacity he oversees the collection of genetically local seed from the wild, the production of native plant materials using IRC’s native seed farm and plant nurseries, management of a physical and digital seed inventory, and development of custom seed mixes for IRC staff and partners. Matthew has 15 years of experience working with native plants, in both applied and academic settings. He received his Bachelors from Northern Arizona University in Environmental Communications, with a minor in Biology and his M.S. in Ecology & Evolutionary Biology from University of California Irvine, where his thesis work focused on “Germination Patterns of Coastal Sage Scrub Plant Species”. Hailey’s Master’s capstone project addresses the spatial characteristics of the rare plants in Orange County to develop future monitoring and management for each species. This work is a continuation of a previous rare plant project through CEB and NCC to compile species occurrences within Orange County. Working with undergraduate UCI interns to compile the data from external and internal sources for 90 species ranked as rare by the CNPS, Hailey will share how data were analyzed to characterize the range, distribution, and recorded abundance of species while identifying gaps or patterns in the data. With this information, Hailey hopes to benefit NCC land managers by providing them an opportunity to address rare species management while choosing a restoration site or allocating resources for monitoring. PLANT KNOWLEDGE: Beginner to Expert. Professionals always welcome! ACCESS: Free to All, No charge. 4x4 required unless carpooling. Just over the border into SW Imperial County, a small pocket of the California Floristic Province jumps over into the Jacumba Wilderness Area. 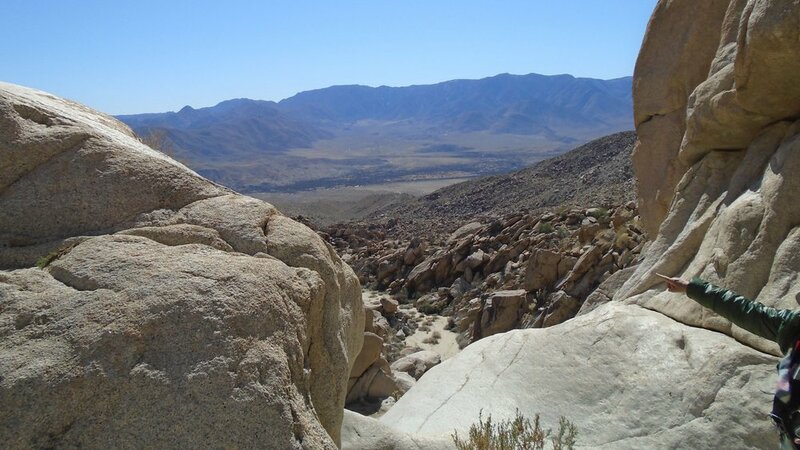 This heavily rocky area is strewn with granitic boulders and sheer cliffs of stacked rocks, making it a great and relatively discrete location for rock climbing, bouldering, camping, and hiking. Valley of the Moon is also known for its sometimes sordid past (and present) with caves in the rocks called Smugglers Den. We'll be headed out to look for a variety of rare and common native plant species. With the great rains this winter, I expect we'll be in for quite a treat. If you're not excited by that, at least there's the Desert Tower nearby! 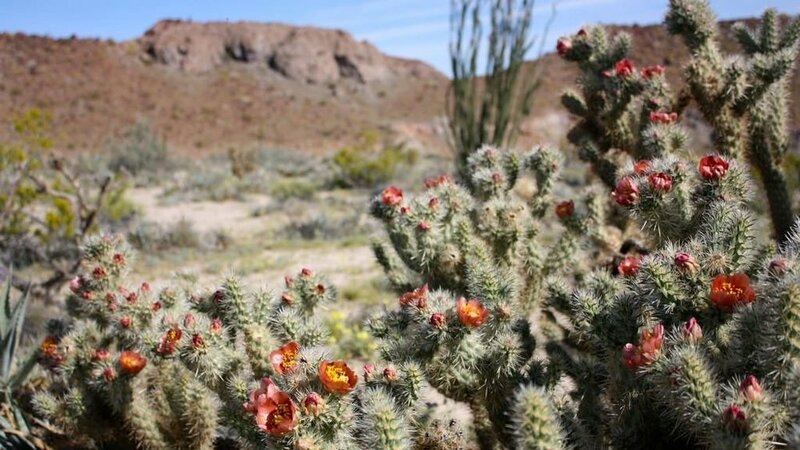 Last year, we made a great loop about Anza Borrego State Park's Little Blair Valley, also known as the Mohave Pocket for the wide array of Mohavean species that survive there separated from their kin to the far North. Now, we're headed back for a two part trip to the falls on Pictograph Trail to the falls overlook (the Easy part), and then for the adventurous - a strenuous climb up Whale Peak and back (the Hard part). Free Parking: in the CA Dept of Transportation parking lot of Taylor Street. Enter from the signal at Taylor and Juan. Walk to the corner of Taylor and Congress Streets, enter by the welcome sign, and up the DG road. Meet at the McCoy House Museum. Have sun protection. Rain will cancel. In this workshop you will learn to conduct rare plant surveys and report your findings, contributing to the documentation and protection of California’s profusion of unique rare plants. This training includes a full day in the field getting hands-on experience. In joint coordination with Ron Vanderhoff of California Native Plant Society - Orange County Chapter and Bianca Bonilla, Executive Director of BCDI we'll be headed out for a great opportunity to contribute to science in one of the most imperiled areas in our state, and perhaps even the country. If we're really lucky we'll hear from Dr. Sula Vanderplank and other biologists representing the San Diego Natural History Museum. We're contributing heavily to an exciting citizen science program at one our country's most impacted and controversial development sites. At the Southern US Border with Mexico, the US has erected many different barriers (to variable degrees of intended success), pushing back against a dense crash of civilization from both sides. 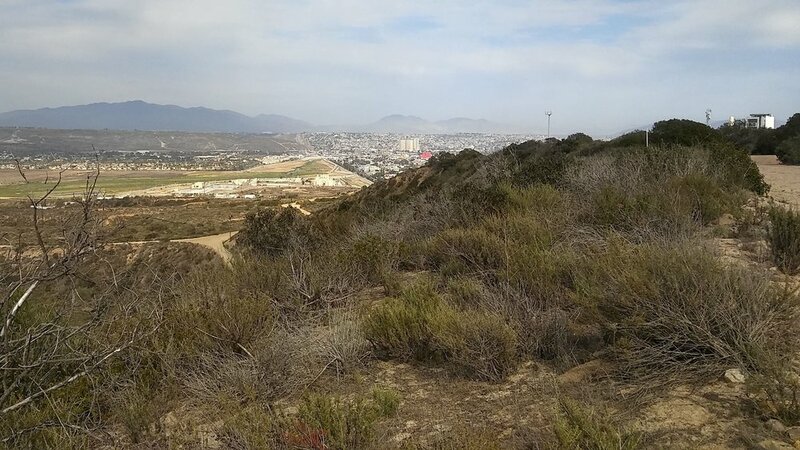 From the Tijuana River estuary and Border Field State Park south of Imperial Beach to San Ysidro and further east into Otay Mesa, an amazing and unique array of habitat that exist in a constant state of threat. This trip will be our first technical event geared towards ID'ing and discovering historical populations of a rare plant. The Moreno Currant (Ribes canthariforme) is listed as a 1B.3 rare plant species by CNPS, partly due to it's narrow distribution (El Cajon Mtn to Lake Morena, and Dulzura to Descanso) and difficulty in distinguishing from more common species like Ribes indecorum and R. malvaceum. While I've pinned Lake Morena's dam area as the hot spot for historical populations, we may look nearby depending on trail access. Hopefully, we'll be working with the Forest Service on this one, targeting areas that may become developed in the future. If possible, we'll do collections for various herbariums and also placing data on CalFlora and iNaturalist. If the shut down persists that far into the year, we'll stick to environs about the Lake Morena County Park and that portion of the Pacific Crest Trail. We'll be doing a two part trip on this winter Sunday, going from an area in Imperial County that is heavily disturbed by different types of human activities to a similar ecosystem that has had the benefit of restricted land use management under the umbrella of the State Park. It'll be a first hand account of both areas to compare and contrast different impacts and the resiliency of the desert ecosystem. CNPS-San Diego is excited to present a day-long workshop that includes three presentations along with an extensive 100-minute native gardening seminar on understanding and nurturing the relationships of wildlife and California native plants. 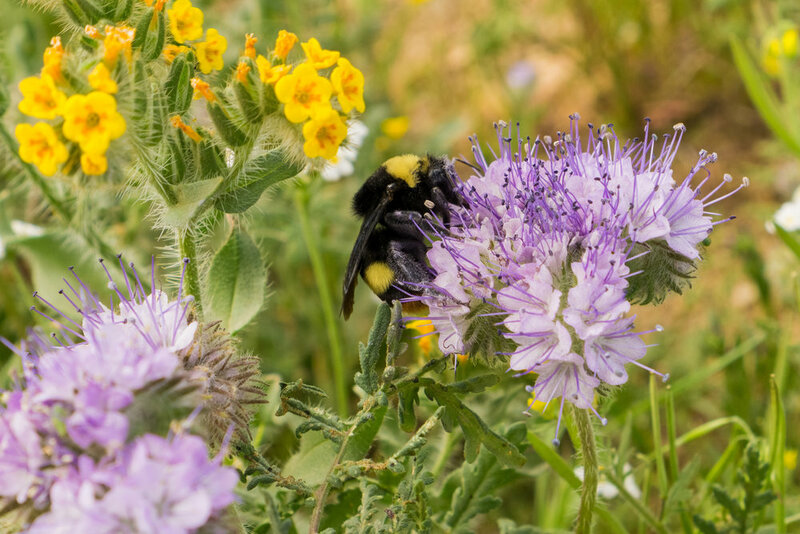 Topics include California native gardening for habitat; native insects, bird and bees; and principles of permaculture and polyculture in the native habitat garden. The day will conclude with a presentation of a renowned model habitat California native garden-the Gottlieb Native Garden in Beverly Hills. The workshop will be held in the beautiful, contemporary auditorium (stars on the ceiling!) of the Museum of Photographic Arts in Balboa Park. An extended 80-minute lunch ‘hour’ will allow you to picnic or dine in the park as you discuss and absorb the morning presentations. Nearby exhibit native gardens will be available for viewing. We’re in the midst of a biodiversity crisis. Throughout the planet, scientific studies have shown that the number of species per area is quickly declining, as is the number of individuals of those species. The causes are many: habitat destruction, non-native invasive species, pest control, climate change, etc. In this opening address we’ll answer the questions: How do California native plants support native insects (and other native wildlife)? And how can we play a supporting role? Everything you need to create vibrant, local habitat gardens in San Diego. This talk will take you through concept to the practical aspects of creating localized habitat for San Diego County, providing real life examples and utilizing powerful online tools. 11:40 pm LUNCH: Bring lunch to picnic in the Park or dine at your choice of seven nearby Park restaurants and cafes. Permaculture is based on natural systems and native plants are integral to any planting design. In this talk we'll see permaculture being integrated into a public habitat garden, and talk about plant communication and value for wildlife. 2:15-3:20pm THE GOTTLIEB NATIVE GARDEN: PLANTING NATIVES CREATED A WILDLIFE OASIS! Scott will take us on a photographic journey through The Gottlieb Native Garden, a thriving wildlife habitat located directly in the middle of Los Angeles’ urban sprawl. Hundreds of animals have been documented to date, illustrating that, “If you build it, they will come”. There will be four sessions in all, including an opening address from Bob Allen, Professor, Author and Research Associate in Entomology at the Natural History Museum of Los Angeles County. Clayton Tschudy, CEO of CJT Ecologics, will present a comprehensive 100-minute seminar on building a San Diego native plant habitat garden. Afternoon presentations will focus on permaculture principles in the native habitat garden and the day will conclude with a presentation of the Gottlieb Native Garden in Beverly Hills and the wildlife that it has attracted. -We do not offer REFUNDS but your registration can be TRANSFERRED to a person of your choice. ACCESS: Free to All, No charge. Donations to the Escondido Creek Conservancy provide valuable support for local native lands. 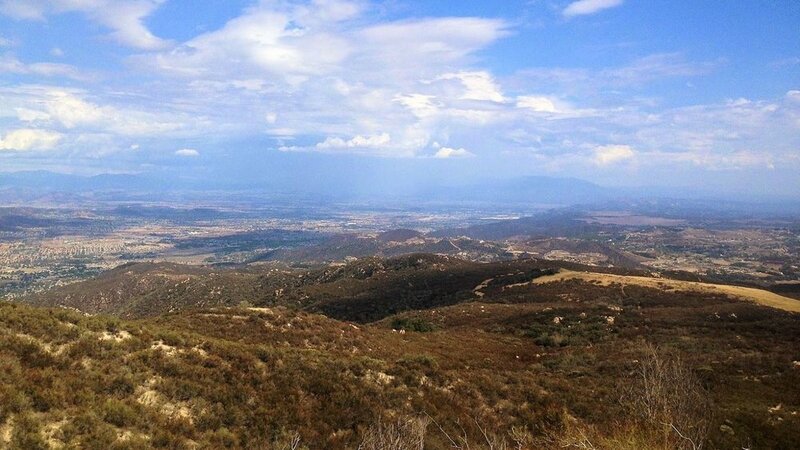 This pocket of San Diego County is known locally for it's extraordinary beauty and history. If the Difficulty didn't already scare you off, the dangers are wildfire, rattlesnakes, falls, the vapors, mountain lions, and definitely poison oak. Only a few of those issues should be any concern this time, since we'll be headed up the trail in the San Diego winter (or summer-lite depending on where you are from). 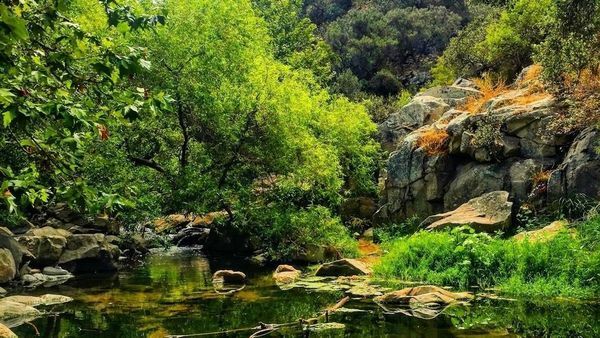 The area has a unique history, from the once thriving Harmony Grove spiritual center not far east to the Olivenhain Dam [built 20 years ago] and the ever expanding footprint of San Marcos and Escondido. I picked this location because late January is the blooming period for Mission Manzanita (Xylococcus bicolor), White coast ceanothus (Ceanothus veroccosus), Southern mtn misery (Chamaebatia australis) [Keir found one in 2013], and White currant (Ribes indecorum). Comarostaphylis diversifolia is also found along the way if we take a very quick detour off the main trail onto the loop trail. Encinitas baccharis (Baccharis vanessae) has been sighted near the top so we'll look for it if there is enough time. San Diego Zoo Global’s Native Plant Seed Bank has been making seed collections for restoration and conservation purposes since the early 2000’s. The seed bank houses over 750 seed collections from plant populations located throughout the county and beyond. In recent years the program has become an integral part of the California Plant Rescue project (CaPR). Focusing on rare and imperiled plant populations, our seed banking efforts have resulted in over 115 seed collections in the past 4 years, from San Diego’s most endangered plant populations. We’ll discuss our process from collecting, drying, and freezing, to germination testing and propagation research, as well as many of the fascinating species we’ve been working with recently. The CNPS-San Diego Seed and Bulb Committee acquires, packages, and sells California native seeds primarily from the San Diego area. Hundreds of volunteer hours go into maintaining our inventory of over 100 species which are available to the public for purchase. This talk will cover the steps we take to acquire and prepare our seeds, as the well as how to cross reference the current inventory list with plants that are known to grow close to your home using the “What Grows Here?” tool in Calflora.org. Cindy Hazuka has been the Coordinator of the CNPS-SD Seed and Bulb Committee since 2016. She has been a member of CNPS since the early 1990s and been involved in many native plant garden and propagation efforts. She holds a PhD in Molecular and Cellular Physiology from Stanford University. This hike aims to do three things: 1) Help identify and classify native and non-native vegetation communities and their relative sensitivity to urban encroachment, 2) Point out a few of the rare plants found in and around San Diego, even though many will not be in bloom, and 3) Get your new years resolution checked off so that you can get over regretting having made it in the first place. This is a hike with a high difficultly due to the elevation gain and distance we are planning to cover. It is not going be like our normal trips where we stop to identify each native plant that catches our eyes, but I will (try to) answer any questions about those species that interest you along the way. With approximately 50 different fern and fern ally taxa documented to occur in San Diego County, this group is well represented locally, but not well known. Come join Dr. Jon Rebman as he presents this fern diversity and goes into depth on many of the taxa that grow in our region. He will also be showing various ferns that might possibly occur in our County, but have not yet been discovered here. Jon P. Rebman, Ph.D. has been the Mary and Dallas Clark Endowed Chair/Curator of Botany at the San Diego Natural History Museum (SDNHM) since 1996. 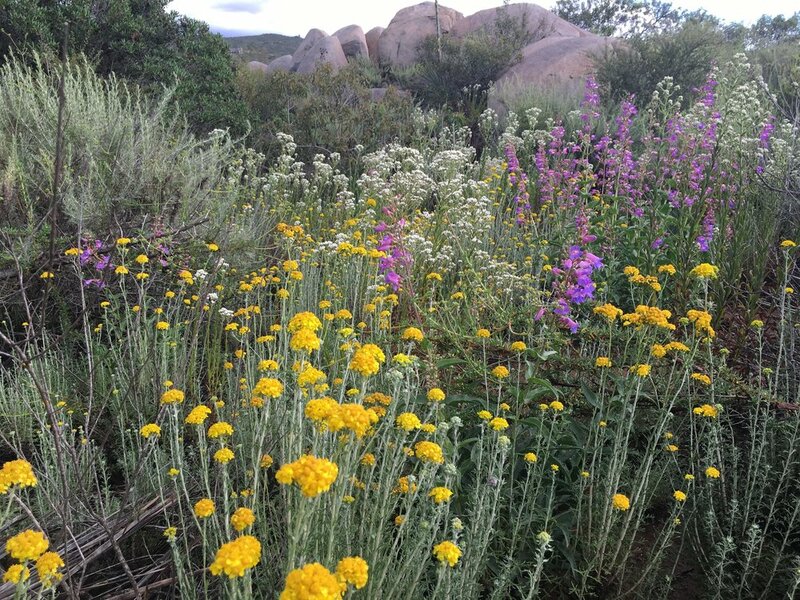 Dr. Rebman is a plant taxonomist and conducts extensive floristic research on the Baja California peninsula and in San Diego and Imperial Counties of California. He leads various field classes and botanical expeditions each year and is actively naming new plant species from the region. 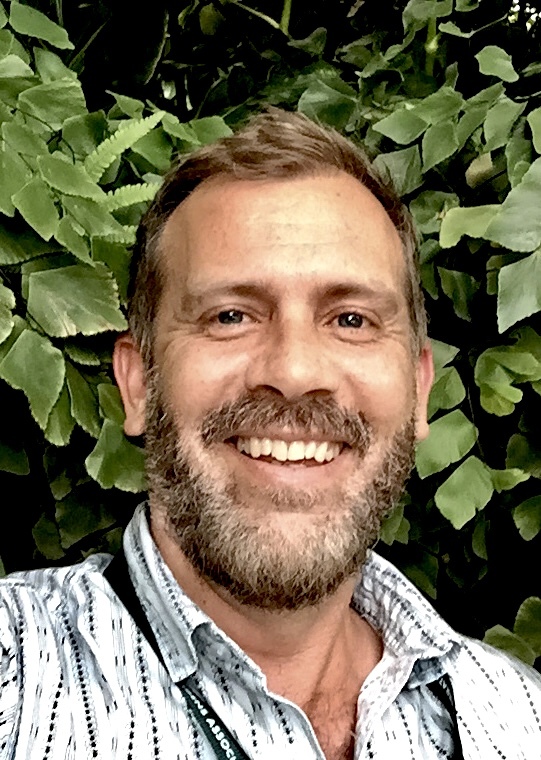 His primary research interests have centered on the systematics of the Cactus family in Baja California, especially the genera Cylindropuntia (chollas) and Opuntia (prickly-pears). 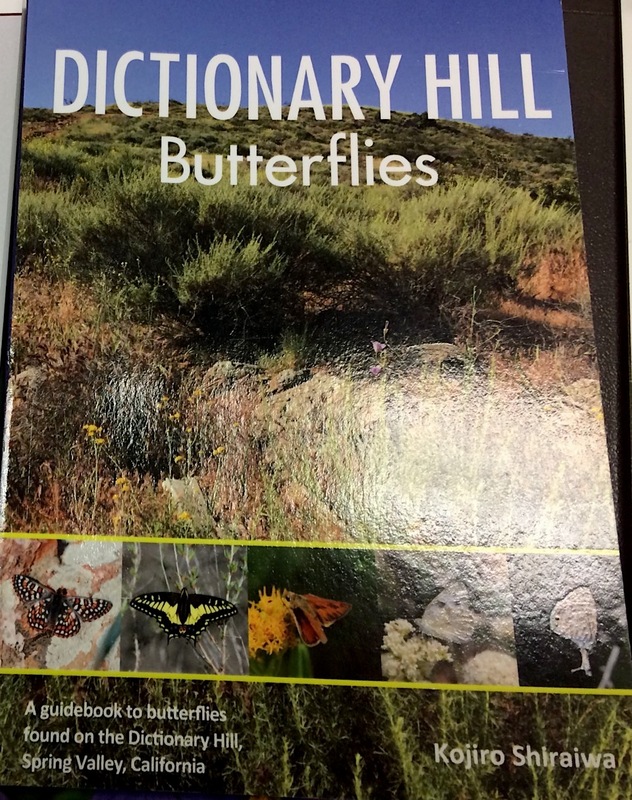 However, Dr. Rebman also does a lot of general floristic research and he has co-published the new Annotated Checklist of the Vascular Plants of Baja California, Mexico and the most recent edition of the Checklist of the Vascular Plants of San Diego County. He has over 25 years of field experience with surveying and documenting plants including rare and endangered species. As a field botanist, he is a very active collector of scientific specimens with his personal collections numbering over 35,000. 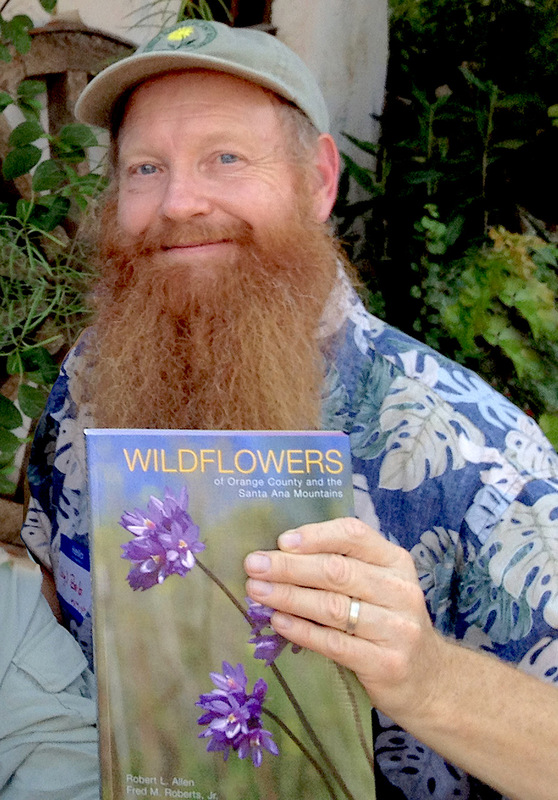 He is the director of the San Diego County Plant Atlas project (www.sdplantatlas.org) and identifies/verifies all of the new specimens (currently over 69,000) coming into the herbarium through this scientific endeavor. As the curator of the SD Herbarium at the SDNHM, he is in charge of this dried plant specimen collection that contains over 270,000 specimens dating back to the 1870s. Rebman published the newest edition of the Baja California Plant Field Guide with co-author Norman Roberts in 2012, and is working on a new bilingual, plant field guide for the Cape region of Baja California Sur. We will host our annual holiday potluck at the December meeting. Bring a dish to share. 6:30pm-7pm: There will be no NATIVES FOR NOVICES presentation this evening. Share and enjoy the potluck beginning at 6:30.